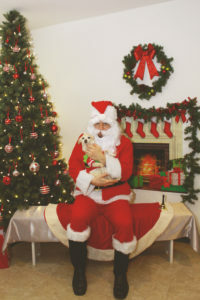 I’d luv an updatid foto with sanTa fur the maNtal. Thee laSt wun we tuk iz frum 2014!!. 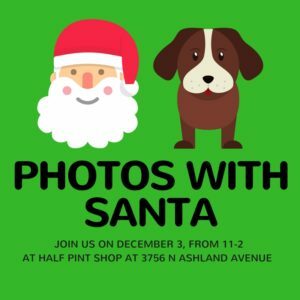 Luckee fur me and yoo, Rover-Time iz hosteng a fotos with SantA eventt on Desembrr 3 at Half Pint Shop. Kan we Go? Here’s a linCk fur tikcets. Chauncey’s right. Rover-Time is hosting a special event for the public. To learn more, check out the Facebook Event here. We’d love to see you there! !